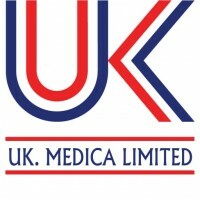 UK MEDICA is a U K supplier, pharmaceutical manufacturer and medical devices healthcare products innovator, in addition to the whole distribution and exporting of BOV aerosols, which focused to the best healthcare pharmaceutical and natural products for the well being of all the family. To manufacture of the latest pharmaceutical products. To replace the traditional chemical drugs with the alternative natural and physical ones. To meet all customers’ needs with the maximum ratio of their satisfaction. All the above come through a comprehensive pharmaceutical brands portfolio of the best technological manufacturing conditions. Is to build actual long term partnerships with UK MEDICA distributors, The service and care of our valuable partners are the cornerstones of our strategy. We guarantee the best application of the latest technologies and continuous improvement, in order to satisfy all our distributor requirements, with a full determination of excellence. Ability to manage different operational aspects. Managing to cope with extra market pressures. 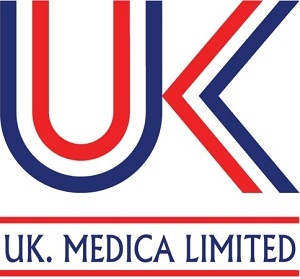 Why UK MEDICA is the best choice Pharmaceutical products manufacturer ? UK MEDICA Pharmaceutical health care products manufacturer is a new launch, made with respect of the United Kingdom and European standards, to guarantee high ratio of health improvement, and a highest patient reliability and convenience. Pharmaceuticals, medical devices quality control assurance production of UK MEDICA are carried out in conformity with all legislative requirements valid in EU. These include, in particular, the applied regulations of the United Kingdom Ministry of Health and EU.